The ocean front king spa suite is perfectly setup for the couple who wants to get away from it all. 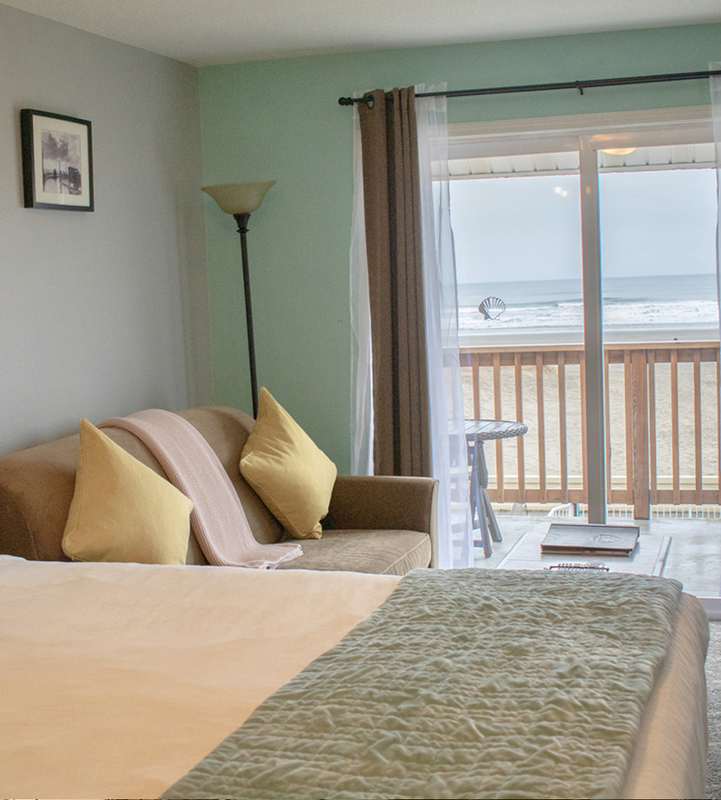 Walk out on your own private patio and breathe in the fresh ocean air and view the waves crashing on the shoreline. Cuddle up on the sofa in front of the fireplace as you watch the sunset melt into the ocean blue. Relax in your presidential pillow-top king bed as you watch the sunrise sparkle on the wave wet sand. Soak your cold toes after a long walk on the beach in the 2-person hot tub. The suite comes with a full kitchen for the romantic candle lite dinners for two. The sofa folds out to a full bed. The ocean front king spa suite is perfectly setup for the couple who wants to get away from it all. Walk out on your own private patio and breathe in the fresh ocean air and view the waves crashing on the shoreline. Cuddle up on the love seat in front of the fireplace as you watch the sunset melt into the ocean blue. 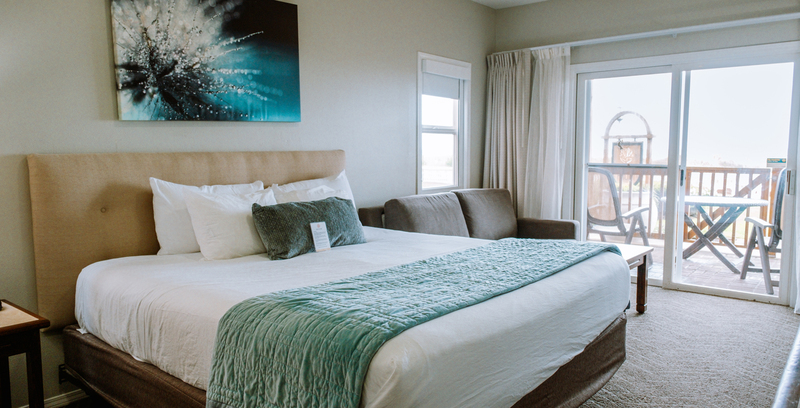 Relax in your presidential pillow-top king bed as you watch the sunrise sparkle on the wave wet sand. Soak your cold toes after a long walk on the beach in the 2-person hot tub. The suite comes with a full kitchen for the romantic candle lite dinners for two. The love seat folds out to a twin bed. A spacious suite with presidential pillow-top king bed, fireplace, flat-screen TV and sleeper sofa (full). The snack kitchen has a microwave, small refrigerator, coffee maker and toaster. The bathroom includes a 2-person hot tub and granite counter tops. The private one bedroom spa suite includes presidential queen pillow-top bed, living room with sofa sleeper (full), fireplace and flat-screen TV. The full kitchen has hickory cabinets, stainless steel appliances, dining table and Spanish tile floors. The bathroom has a 2-person hot tub to soak, perfect after a long day at the beach. Guest Room with room to spread out, includes presidential queen pillow-top bed, fireplace, flat-screen TV and sofa sleeper (full). The snack kitchen has a microwave, small refrigerator, coffee maker and toaster. Sliding glass door to a shared patio. The bathroom includes a standard size tub with jets.